NOTE: This article is for users who would like to use a third-party SSL certificate on their Doteasy web hosting account. Once you have uploaded your SSL certificate, you are ready to activate that SSL certificate for your website. 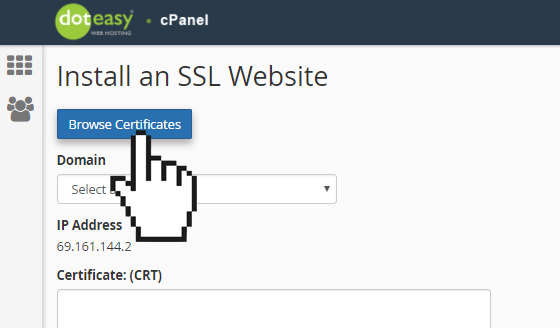 Click on SSL/TLS under Security in cPanel. Under Install and Manage SSL for your site (HTTPS), click on Manage SSL sites. Under Install an SSL Website, click on Browse Certificates. Select the SSL certificate to activate. When ready, click Use Certificate. The encrypted certificate will appear in the Certificate (CRT) text box. 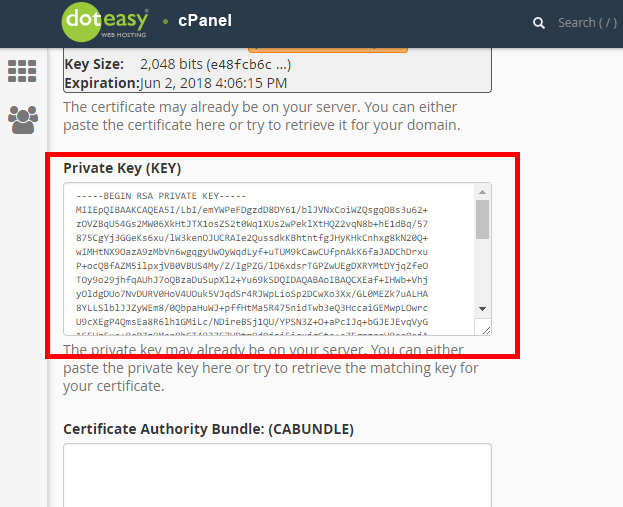 If you have generated the private key in cPanel, it will be auto-added to the Private Key (KEY) text box. If you are activating an pre-existing SSL certificate, you will need to paste the certificate’s private key here. Make sure you include the beginning and ending lines. Paste the CA (Certificate Authority) Bundle into the Certificate Authority Bundle (CABUNDLE) text field. Make sure you include the beginning and ending lines. You will see a confirmation that the SSL certificate has been installed successfully. Your website should now be accessible via https://yourdomain.com. 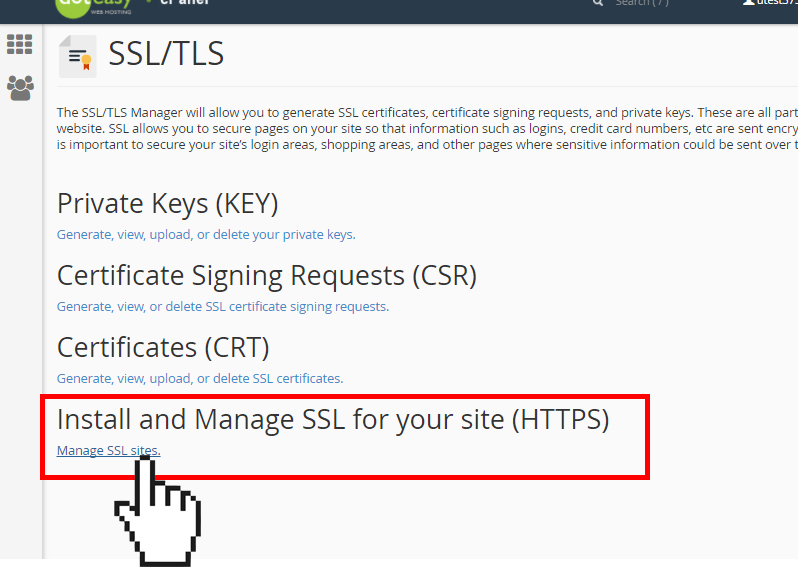 You will also see your secured website added to the Manage Installed SSL Websites table.